Overnight Pear And Blueberry Oats. Mums everywhere deserve an extra special treat on Mothering Sunday (11th March). What better way to show them how much they’re loved and appreciated than by serving them up a memorable breakfast (in bed preferably) or an extra special afternoon tea with all the family present. Make this lovely recipe from White’s Oats and your mum is bound to be impressed…just make sure you clean up afterwards. Very on trend, this energy fuelled breakfast packed with lots of natural fibres will definitely keep mum going until lunchtime. Take some of the hassles out and do the prep work the night before. Why not mix it up and use her favourite fruit instead; apples, peaches and nectarines all work well instead of pears. In a large bowl mix together the oats, apple juice and 300ml (1/2pint) cold water. Cover and chill overnight. The next day, quarter, core and coarsely grate 2 of the pears and stir into the oat mixture with the yoghurt, agave nectar and lemon zest. Divide between 4 serving bowls. Quarter, core and slice the remaining pear and arrange over the top of the oat mixture. Scatter over the blueberries and flaked almonds and drizzle with extra agave nectar if liked. The leftovers can easily be made up into little portable jars for you and mum to take to school and work – simply makeup and spoon into a screw-topped jam jar or small Kilner jar. Scatter over your fresh fruit, nuts seeds, granola etc. Seal and you’re good to go! Overnight Pear And Blueberry Oats For Mothering Day Breakfast. Recipes courtesy of Whites Oats. 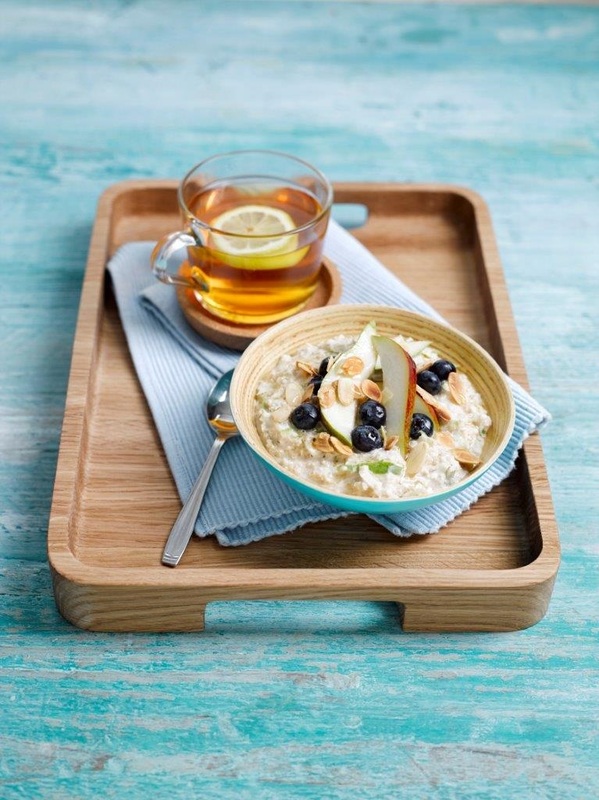 What do you think of this Overnight Pear And Blueberry Oats for a Mother’s Day Breakfast? Overnight Cardamom And Coconut Oats With Chia Jam. How To Make BerryWorld Overnight Oats with Raspberry Chia Jam. "How To Make Gluten And Dairy Free Hot Cross Buns"
"Oaty Potato Cakes And Smoked Salmon: Breakfast In Bed"
Yummy! Yes, please! Happy Early Mother's Day!